We are very excited to announce that we have been granted intervenor status in the upcoming BC Supreme Court reference case on third-party advertising. Back in 2004, Stephen Harper (then executive director with the National Citizens Coalition) challenged the third party election advertising spending limits introduced by Prime Minister Jean Chretien as an unconstitutional limitation on free speech rights for organizations. The Supreme Court denied the NCC’s claim and affirmed the constitutionality of such limits as being reasonable given the government’s intent to limit the extent to which wealthy entities could control an election campaign. Here in BC, the BC Teachers Federation launched a challenge against a related rule (the so-called ‘gag law’) introduced by the BC Liberal government in 2008, successfully arguing that the extension of the limitations into a two-month ‘pre-campaign’ period (when the legislature could still be sitting) overly constrained fair political commentary, not just election advertising. The BC government has recently amended their law to ensure that the restrictions will not apply while the legislature is sitting (and for three weeks afterwards), but, prior to enacting the law, has also asked the Supreme Court for an opinion as to its constitutionality. Fair Voting BC applied for and was granted intervenor access; our primary concern is the effect on NGOs and individuals, as the revised law retains three features that create a ‘chill’ effect: (1) it defines ‘election advertising’ as a message to the public that takes a position on an issue with which a political party or candidate is associated (i.e., almost anything that any citizen would be concerned about), (2) it requires that anyone who spends even a dollar on election advertising formally register as a sponsor, and (3) it can be construed as counting volunteer labour as a contribution. This discourages ordinary concerned citizens from speaking out during an election, so we will be proposing ways that the government could write a more appropriate law; we’ll share our submission with you next month. This summer in Ontario, a heated debate about electoral fairness rages on. The Supreme Court of Canada will soon rule on whether to uphold a by-election ordered in Etobicoke Centre, where an exceedingly close result in last year’s federal election has been called into question amidst evidence of procedural irregularities caused by Elections Canada itself. The winning MP won only 26 more votes than the would-be incumbent, but 79 ballots were ruled invalid, thereby casting serious doubt on the validity of both the voting process and the outcome. 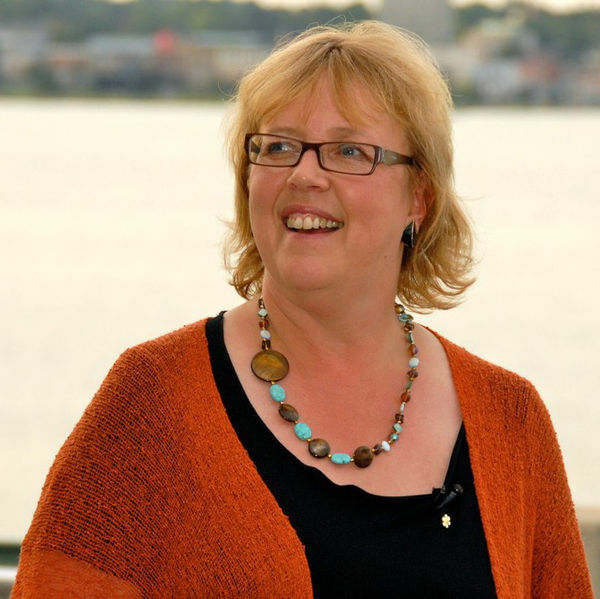 Meanwhile, the leader of the Green Party, Elizabeth May, is proposing not to run a Green candidate in a by-election, and she is encouraging the NDP to do the same. May’s argument here is that voters should have a clear choice between the two front-runners in this by-election so that their wishes can be clearly determined. But is this democratic? At the heart of the problem is that our current voting system does not enable us to vote honestly and win representation that reflects how voters vote. Regardless of the pending decision, the complications in Etobicoke have no doubt diminished many voters’ faith in our present electoral system. The result of the Supreme Court’s upcoming ruling could set the stage for a more in-depth electoral critique as it raises unsettling questions about both process and outcome, while simultaneously highlighting the need for us all to re-assess what we want an election to do. The Council of Canadians has filed a lawsuit on behalf of voters in seven ridings affected by fraudulent ‘robocalls’ in the 2011 election. The Conservative Party has challenged the CoC’s right to bring this case, but on July 19th, a ruling was issued rejecting the Conservatives’ motions and allowing the case to proceed; in her ruling, the judge stated: “Far from being frivolous or vexatious, or an obvious abuse, the applications [by the CoC] raise serious issues about the integrity of the democratic process in Canada and identify practices that if proven, point to a campaign of activities that would seek to deny eligible voters their right to vote and/or manipulate or interfere with that right being exercised freely – all of which permitted to escape even the prospect of judicial scrutiny, could shake public confidence and trust in the electoral process and in those who in good faith stand for public office.” Elections Canada is expected to issue a report next spring recommending new regulations for robocalls. Former BC Liberal Party leader Gordon Gibson recently argued in a Globe and Mail column that the Liberal Party might consider implementing electoral reform prior to next year’s election (as you might recall, 94% of respondents to our poll a couple of months ago would be supportive of this idea) and argued that such a change could technically be implemented through a simple vote in the legislature. A BC donor who was recently found to have made a prohibited political donation justified it by saying “It’s a cost-effective, time-effective way to interact with the people in the government. That’s the way the system works…This is really how the world works.” IntegrityBC would like to end this form of privileged access. If you agree, please consider signing their online petition. A reminder that our good friends at Fair Vote Canada are holding a petition drive this summer and are asking for volunteers to help collect signatures in favour of proportional representation so that they can deliver petitions to as many MPs as possible in a co-ordinated Day of Action later in the summer. If you think you could get at least 25 people to sign this petition, please consider making this part of your summer festivities. Click here to download a petition page or for more information. Democracy Watch says the Commissioner of Canada Elections failed to investigate a complaint about foreign interference in the 2011 federal election, in which a US-based election strategies advisor, Matthew Parker, is said to have assisted with two Ontario campaigns (Rick Dykstra and Julian Fantino), contrary to Section 331 of the Canada Elections Act. Democracy Watch criticizes the Commissioner for opting not to investigate this complaint based on the faulty contention that there was no evidence that Parker succeeded in changing any voter’s mind. Democracy Watch contends (rightly, in our view) that the inducement itself constituted a violation of the Act and therefore merited investigation, so Fair Voting BC supports Democracy Watch’s call for an inquiry into the Commissioner’s enforcement standards and practices. Do you believe all Canadians should be ready to answer the same questions about their country as new Canadians? We do. The Canadian Citizenship Challenge is asking students to put their national knowledge to the test, by studying for and taking a mock citizenship exam. The top two winners are declared “Student Citizens of the Year” and awarded all-expense paid trips to Ottawa! The top classroom gets a Citizenship Celebration at their school! Hundreds of other great Canadian prizes are also up for grabs! Students can register online and teachers can use our interactive Learning Tools before their class takes the quiz. That’s it for now, but there are lots of things in the works, such as our upcoming AGM in the fall (to be announced shortly). Enjoy the summer, and if you have a chance to corner an MP or MLA at a summer BBQ, ask them where they stand on electoral reform (and let us know what they say! ).